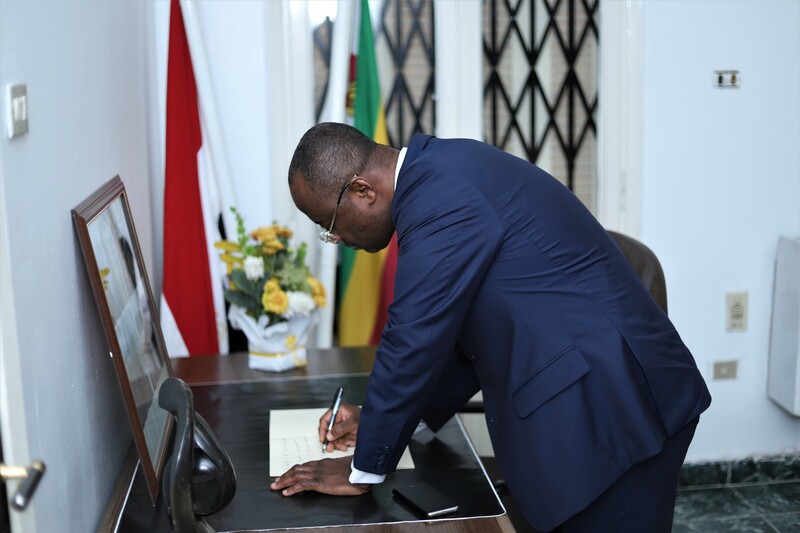 Cairo, 29 March 2019: – The African Export-Import Bank (Afreximbank) yesterday made good on its donation of $1.5 million in support of the relief effort for victims of Tropical Cyclone Idai, sending a high-level delegation to the embassies of Mozambique, Zimbabwe and Malawi in Cairo to deliver documents formally conveying the donations to the three governments. Led by Dr. George Elombi, Executive Vice President in charge of Governance, Legal and Corporate Services, the Afreximbank delegation met with Chris Mapanga, Ambassador of Zimbabwe; Caroline Bwanali-Mussa, Ambassador of Malawi; and Acacio Dinis Chacate, Charge D’Affaires of Mozambique. Dr. Elombi told the envoys that Afreximbank would support the countries financially and infrastructurally to help them to recover from this damage wrought by the disaster. He said that given the significant financial requirements that would be involved in rebuilding the damaged infrastructure in the affected countries, Afreximbank would do its utmost to provide support to the governments once the areas of need had been identified. Mr. Mapanga told the delegation that roads across Zimbabwe were still impassable and that the country was in a state of economic strangulation, with pipelines closed and measures still being taken to divert resources. “All of the horticultural industry, the major railway line and the economy, overall, was heavily affected,” he said, expressing deep appreciation for Afreximbank’s “proactiveness and willingness to assist the country in its time of need. Mr. Chacate said that the donation by Afreximbank came at the right time and that the nation was deeply touched by the goodwill, thoughts and assurances. 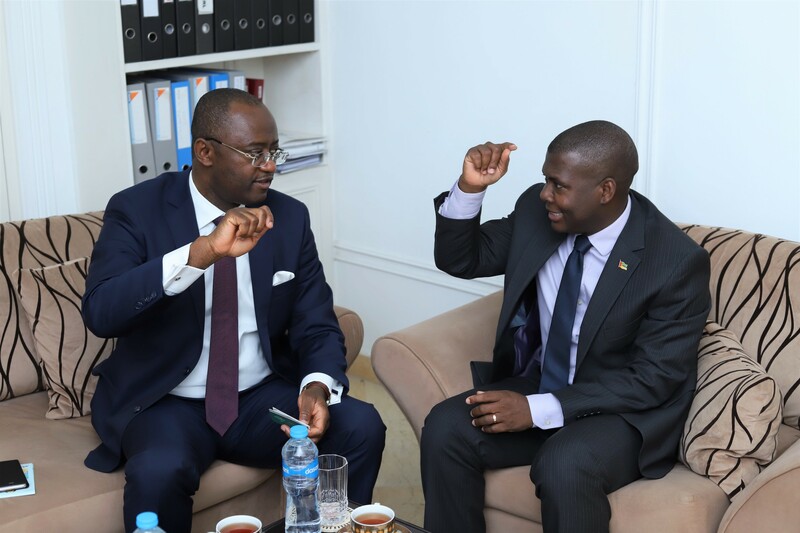 He said that there was a lot of work to be done in Mozambique and pledged that the Government would ensure the Bank’s assistance reached the families in need. 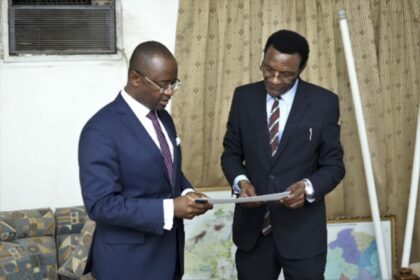 Afreximbank Executive Vice President Dr. George Elombi (left) presents document conveying the Bank’s donations to Acacio Dinis Chacate, Charge D’Affaires, Embassy of Mozambique, in Egypt. Mrs. Bwanali-Mussa commended Afreximbank for the visit and for the contribution to the relief effort, saying, “this is a comfort and makes us feel that we are not alone. The Bank is truly a friend in need and indeed”. She noted that the country’s telecommunication lines had been down for over two weeks as a result of the tropical cyclone. Malawi Telecomm and other agencies would be engaged to identify areas of dire need and to take up Afreximbank’s offer to assist in rebuilding the nation’s infrastructure, she said. 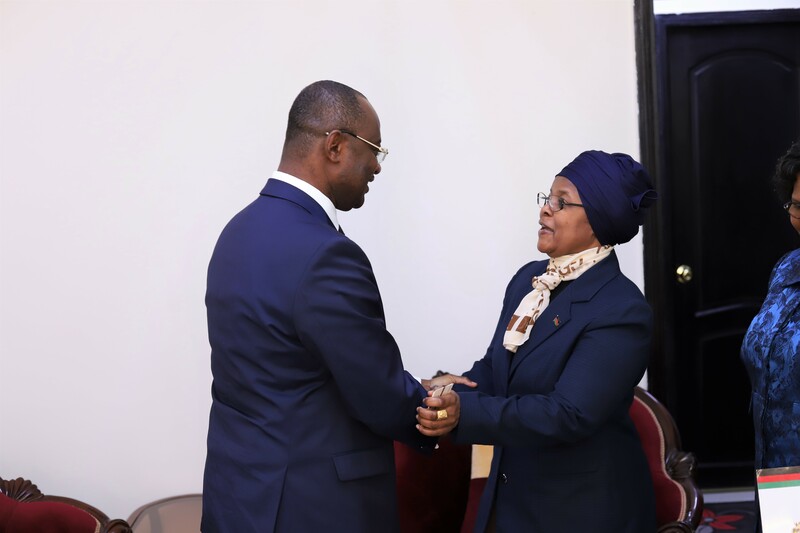 Afreximbank Executive Vice President Dr George Elombi (left) being welcomed by Caroline Bwanali-Mussa, Ambassador of Malawi to Egypt. 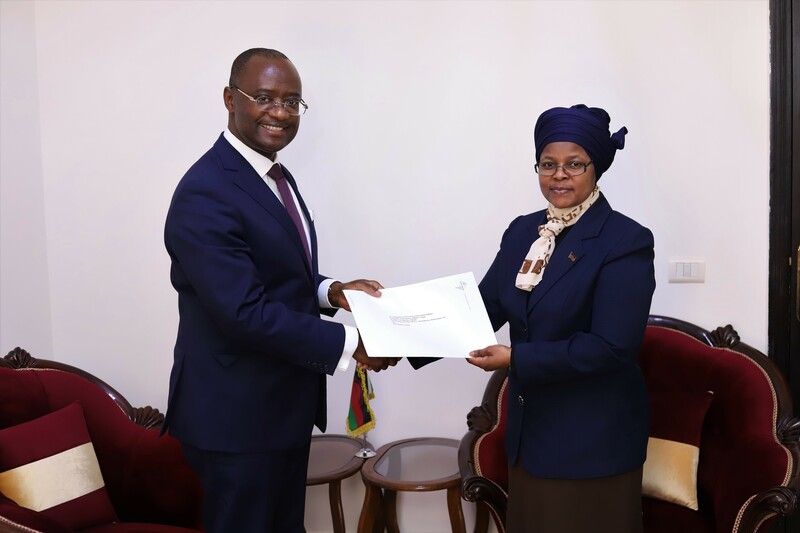 Afreximbank Executive Vice President Dr. George Elombi (left) presents document conveying the Bank’s donations to Mrs. Bwanali-Mussa. 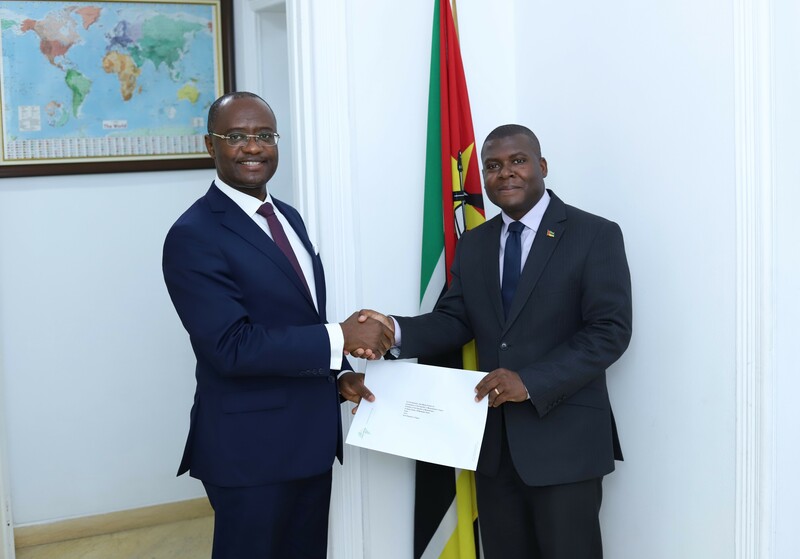 Earlier yesterday, Afreximbank President Prof. Benedict Oramah announced the $1.5 million the relief package approved by the Bank’s Board of Directors for Mozambique, Zimbabwe and Malawi. Prof. Oramah said that Afreximbank decided to act on the tragedy, given the scale of the devastation brought about by the tropical cyclone, whose death toll is expected to exceed 1,000 and which had affected at least 2.5 million people. Afreximbank has a history of intervening in support of African countries in times of crisis. In November 2014, the Bank contributed $1 million to the effort to combat the outbreak of the Ebola virus disease which affected several countries in West Africa.